China is under close scrutiny both as a market that could provide massive returns to investors and because of its potential to become the most powerful economy in Asia. 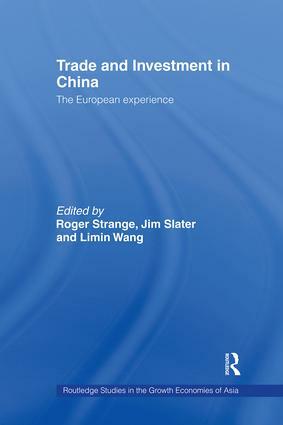 This new study examines the economic relationship between China and Europe, its importance and how it is likely to evolve. The book considers the flow of trade, direct investment and technology transfer and contains case studies of manufacturing industries (automobiles, toys, watches, telecommunications) banking and insurance. The trade relationship between Europe and China is being re-evaluated by both sides and this is a valuable contribution to that process.